The Spotted Lanternfly is a new invasive insect in southeastern Pennsylvania which poses a substantial threat to agriculture with a potential economic impact in the billions of dollars. The bugs can quickly spread to other areas by hitching a ride on trucks, in trailers or even on the driver. This year, National Truck Driver Appreciation Week is September 13-19, 2018 and we would like to use this time as an opportunity to express our appreciation to the 3.5 million plus professional truck drivers that are responsible for transporting over 10.5 billion tons of freight each year. One of my first recollections of the industry and its drivers is from elementary school, riding the school bus home each afternoon. It was a daily thrill when we passed one of the large tractor trailer trucks on the road and all of us on the bus would wave madly out the window to catch the driver’s attention and gesture for them to blow their horn. The drivers always knew just what we wanted and would dutifully oblige by giving us a big smile and reaching up to pull the chain that sounded their massive horn. The drivers were always friendly and made us all smile on our way home. I didn’t realize then that these were the very people that delivered the food to our grocery store shelves, the latest shoes and clothes we all wanted or the medicine and supplies to our hospitals and pharmacies. I had no idea that some of them may have already driven hundreds of miles by the afternoon or that they wouldn’t be able to return back to their homes for several days. Below are facts and figures we’ve gathered about the industry that we hope you enjoy. Though often in the background and at times underappreciated, America’s professional truck drivers are the ones who keep delivering. 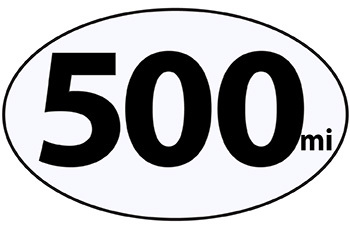 An over-the-road driver logs an average of 500 miles each day. Collectively, approximately 421 billion miles are traveled by truck drivers each year, and 152 billion of these miles are from class 6-8 trucks. More than 80% of US communities depend solely on truck drivers to deliver their products. 33 million Christmas trees each year. 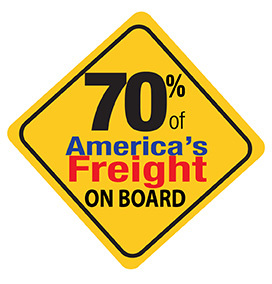 In 2018, over 70% of America’s freight was hauled by truck. Rail came in a distant second at 11.4%, followed by Pipeline at 10.3%, Water at 6.1%, and Air 0.1%. Ryder has partnered with womenintrucking.org to help encourage the industry to be more welcoming to women drivers. Women in Trucking is a non-profit organization founded to encourage the employment of women in the trucking industry, promote their accomplishments and minimize obstacles they can encounter when working in the trucking industry. Since 2003, trucks have seen an 88% drop in Sulfur Dioxide Emissions and a 32% drop in particulate matter. If you connected all the loads delivered by trucks in 2013, the chain would stretch from the Earth to the moon more than 11 times. Ryder Fleet Products is the aftermarket parts online business of Ryder System – a Fortune 500 commercial transportation, logistics and supply chain management solutions company. With over 80 years of experience maintaining the most reliable fleet in America, Ryder knows more about parts than anyone. Visit www.RyderFleetProducts.com for more information or to browse our selection of over 60,000 aftermarket truck parts. The federal Hours-of-Service (HOS) regulations are designed to keep fatigued drivers off the nation’s roadways. The rules set limits on how much time commercial drivers can spend behind the wheel, mandate certain amounts of rest, and require documentation. The interstate trucking safety rules apply to anyone who operates a commercial motor vehicle (CMV) that weighs or is rated at 10,001 pounds or more or that is placarded for hazardous materials. In-state-only rules may vary somewhat from federal rules. 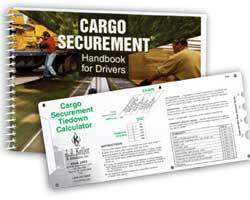 Companies and drivers are required to know and comply with all regulations. Ongoing training for drivers, dispatchers, safety personnel, and others is critical for staying well-informed about these ever-changing rules. With Earth Day coming up on April 22, 2017, we share tips and product solutions to help those in the transportation industry move closer to their environmental goals. Commercial vehicle maintenance centers likely already have a solution in place for the environmentally safe handling and recycling of used oil and other automotive waste materials. But what about at home? Be diligent there too and spend the $8 or so for an oil recycle jug that’s designed for easy disposing and recycling. Look for features such as a large opening (for easy filling and emptying), an easy carry handle and a lid to keep the oil contained while transporting to the recycle center. You’ll be surprised at how this convenient little jug-with-a-purpose will actually encourage you to make the trip to your local recycle center to dispose of the oil properly. Otherwise, it’s easy to give in and let that oil you just changed sit in a make-shift container in the garage month after month because there’s no practical way to move it anywhere else. For home garage use, we’ve found this small 3 gallon jug “The Dispos-Oil Recycle Jug” makes it super easy to collect, carry and transport used oil. There are several aerodynamic technologies available in the heavy duty aftermarket today that are providing owner operators and fleets with valuable fuel savings. Consider some of the options listed below – chosen based on their affordability, ease of installation and shorter payback period. • Trailer Side Skirts: Add the fuel-saving, aerodynamic technology of a trailer side skirt to reduce wind resistance and fuel consumption. For example, the EZ Edge Trailer Skirt is EPA SMARTWAY verified to deliver up to 7.3% in fuel savings. It also receives high marks because it is 100% recyclable and made in the USA. • Fuel Saving Wheel Covers: Streamlining wheel openings on a truck & trailer with specially designed wheel covers, such as Deflecktors, is another simple and affordable aftermarket solution for reducing fuel consumption. These install in seconds with no tools needed. • Aerodynamic Mud Flaps: Even mud flaps have gone aerodynamic. Fleet Engineers, a Ryder Fleet Products supplier, manufacturers the AeroFlap® Aerodynamic Mud Flap. These lower fuel consumption by reducing drag, accomplished via a unique design which channels airflow in different, complimentary directions. Works in synergy with the EPA SMARTWAY program and are available in 24in, 30in, and 36in heights. Made in the USA from recycled materials. Discover useful, clever, unique gifts and gadgets ideal for the mechanic-DIY-handyman enthusiast. Our collection of holiday gifts will work for a range of budgets and features our top picks for under the tree this season. Compliance on the go! Video Training Books is the newest and easiest way to train new, contract, mobile or temporary workers. Recently introduced by JJ Keller®, the Video Training Book lets your employees learn on the go – without having to wait for internet connection or a classroom. This portable training format makes training as accessible as possible and is ideal for those who regularly hire new or temporary workers and need to ensure they are properly trained. What is a Video Training Book? 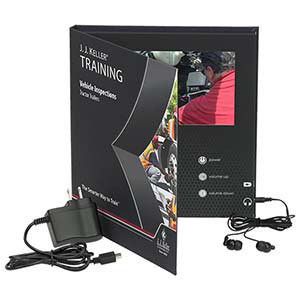 The Video Training Book, from JJ Keller, is a portable training format with 7” video screen that goes wherever your employees need to learn – making it easier for you to ensure they are properly trained and in compliance. 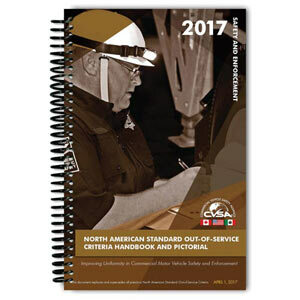 Recognized for its ability to improve workplace safety, the Video Book was named a 2016 New Product of the Year by Occupational Health & Safety (OH&S) magazine. 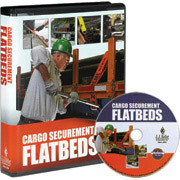 RYDER Fleet Products now offers the following three popular driver training topics in Video Book format. Plus they qualify for FREE standard ground shipping! Free Automotive Tools – with our BOGO Promos! Whether you are a Diesel Technician, Auto Mechanic, or a DIYer, RYDER® Fleet Products can help you stock your toolbox faster, easier and sometimes even free! Look for our “Stock Your Toolbox” icon on our blogs (or choose “Stock your Toolbox” under our blog categories) to view all of our tool promotions. Check back often – sometimes there may be no current promotions; other times, there may be several! Save on tools wherever you see our “Stock Your Toolbox” icon on our blogs! Save on tools wherever you see our “Stock Your Toolbox” icon! Let Ryder Fleet Products help you stock your toolbox faster, easier and sometimes free! Expand your own toolbox or cross items off your holiday shopping list with RYDER® Fleet Product’s freebie offers. This offer good until November 30, 2016, or while supplies last. No promo code needed – your free item will automatically be sent when you order the Irwin Extractor Set.